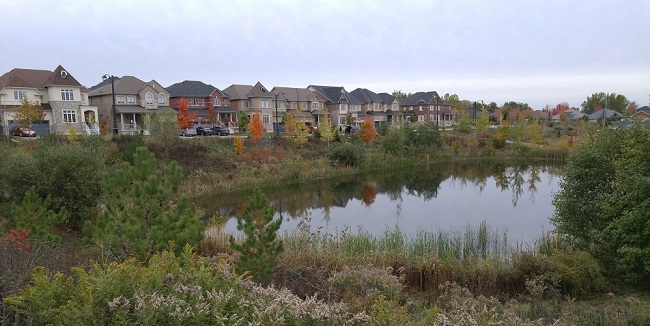 The region of Aurora, Newmarket, and East Gwillimbury are highly desirable locations for families looking for great lifestyles close to urban amenities and rural freedom. Newmarket in particular has been the site of city transit improvements and there’s much work on the roadways and new housing developments. The beautiful parks, bike paths, upgraded hospital, great schools, and access to the 404 makes it very popular for buyers looking to escape the GTA. 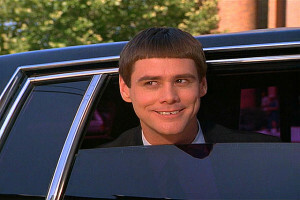 Not so Dumb to live in Newmarket! The city that produced Jim Carrey, John Candy, and Connor McDavid, offers clean, fresh air, safe streets, plenty of nearby recreational centres for tennis and hockey along with modern shopping centres just a short drive away. Despite constraints on development, Newmarket is a fast growing city and as expected, is feeling its growing pains. It will soon provide the best York Region has to offer. The Go Train Service to Toronto is opening up this region for those who must work in downtown Toronto. For nature and recreation/relaxation lovers, a beautiful park system makes weekends a very special time. 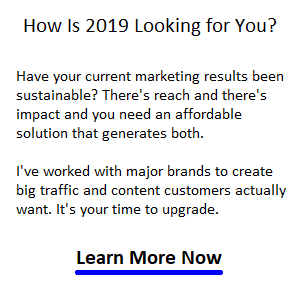 And the new lake to lake bicycle route is currently being built from Toronto up through Newmarket to Keswick is quite an exciting development for the thousands of cyclists in Ontario’s cycling capital. Mountain bikers don’t have far to go for a thrilling ride either, including the Durham Forest just southeast of Newmarket/Aurora. 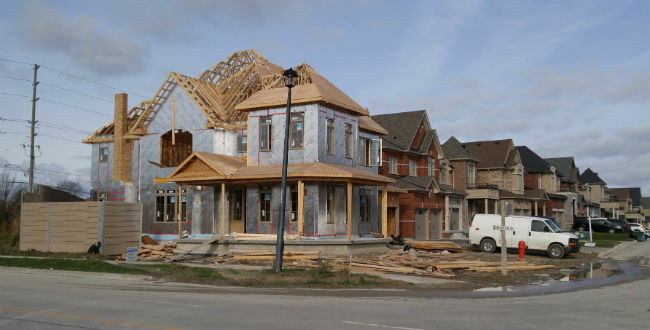 A visit north to our region will give you plenty of new home construction developments in Aurora and Newmarket to view. The forecast for sales and growth in this region are still strong despite the government stress test. Take a look at the Aurora real estate market forecast. 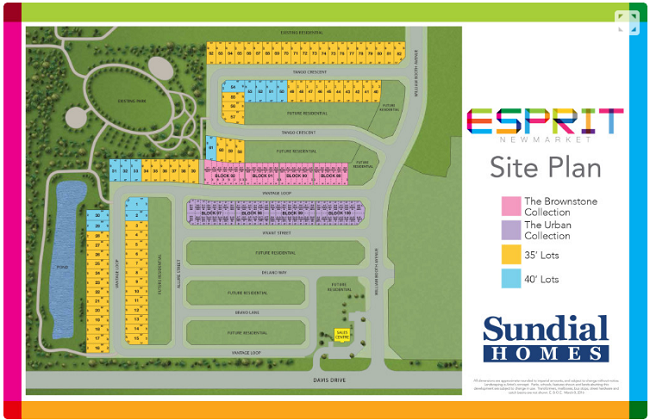 Sundial Homes latest development is right next to Upper Canada Mall on Davis Drive in Newmarket. Below is the site plan. 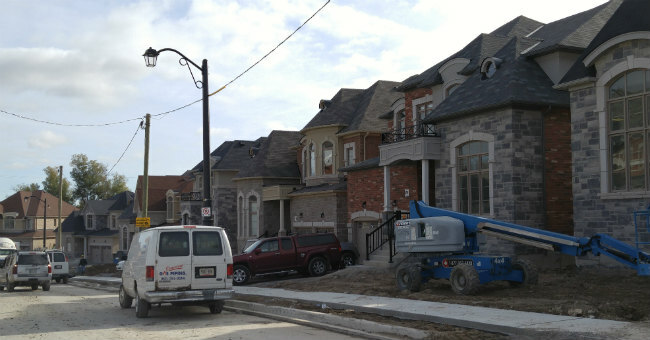 Given how fast homes and townhomes are sold in York Region, this development should be sold out quickly. Definitely visit their website for more details and to see some spectacular interior designs and amenities on these townhomes for sale. 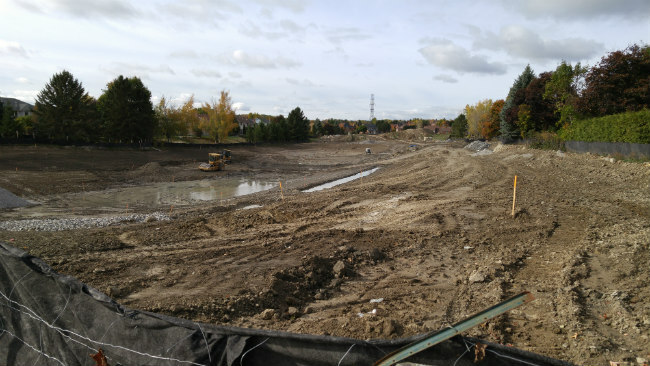 Lakeview Homes and Andrin Homes are combining to build hundreds of new houses and townhomes on the west side of Newmarket. The location is on the former site of the Glenway Golf Course. 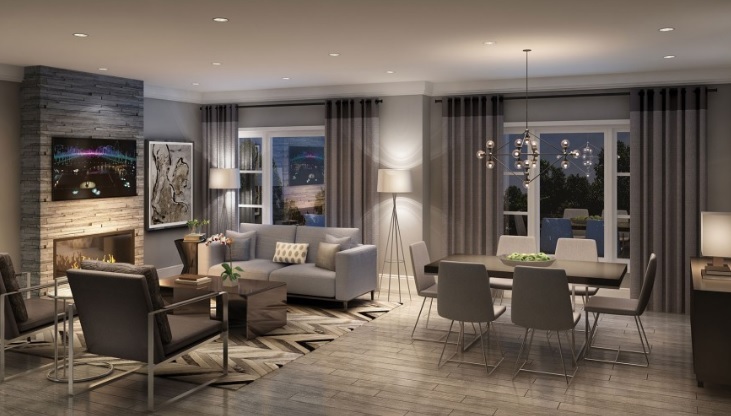 Andrin has announcing construction of a collection of Detached Homes and Bungalows on 50′ Lots, as well as 2-Storey Townhomes and 3-Storey Urban Townhomes. 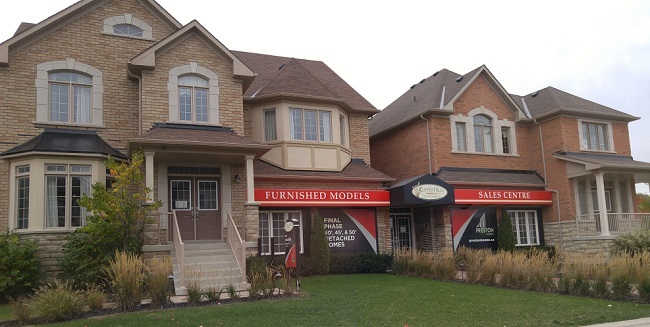 The location is excellent, adjacent from Bathurst St and Highway 9 (Davis Drive) which means it’s a few minutes from Upper Canada Mall. On the eastside, the Copper Hills development is nearing completion. There are lots and homes being constructed as you’ll see in the picture gallery below. The area to west on the other side of Bathurst is green space with excellent hiking trails. And you’re just a minute from the Holland Marsh, Ontario’s vegetable garden. 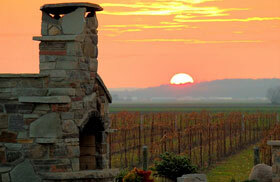 The Holland Marsh Winery is close by so ensure you take an evening out for a wine tour. The High R Value, reflective foil insulation used in these new homes shows the Glenway Living builders are pulling out all the stops to provide a home that is clearly a cut above others offered elsewhere. 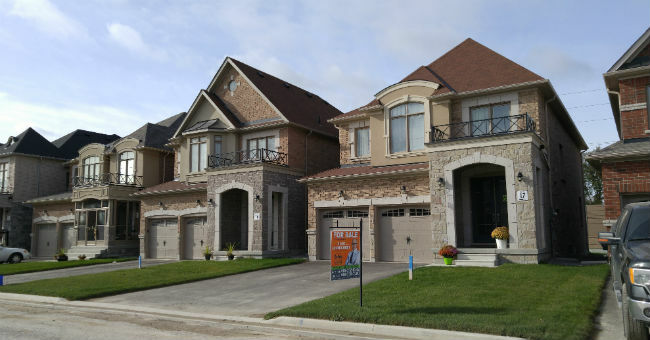 Copper Hills from Preston homes in Newmarket is a massive luxury home development located just south of Mulock in between Leslie St and highway 404. 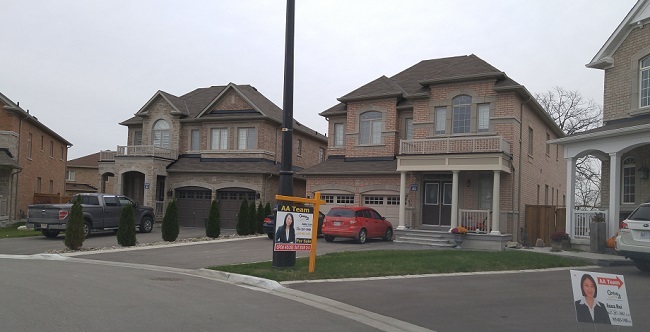 It’s a few years old yet the homes are still like new and many are on the resale market. It is laid out in a series of swepping, rolling streetscapes on 135-acre parcel of land. The site plan is composed of 5 concentric circles which lends a sense of harmony to the neighbourhoods. The final phase 4 is almost complete. You can see the home details at the prestongroup.ca website. In the mood to see a gallery of beautiful homes in Aurora? Aurora is the upscale section of the region and although it lacks the convenience location of the new homes being built, the mature and quieter neighbourhoods make it more attractive to some buyers.